Deep down in all of us there lies a competitive spirit. A drive to reign supreme in sports. To dominate on the battlefield and bask in the glory of victory. To handle adversity and ultimately triumph over our opposition. But unfortunately, we are not all 6’5″ in height. We can’t all run as fast as lightning. We can’t all bench press the entire weight room. But chin up, everyday athletes, one sport is picking up steam. A sport that anybody, at any fitness level, cannot only play, but excel at. Can dominate. Can athletically thrive. You know that sport, the one we all played in elementary school P.E. class. The one Vince Vaughn taught us to know and love. The reason we get that desire to launch a ball at Ben Stiller’s face. Dodgeball has gained popularity with adults largely because of its social component. It’s a sport that any everyday athlete can hop into and play. It’s accessible, fun, and invading rec parks all over. 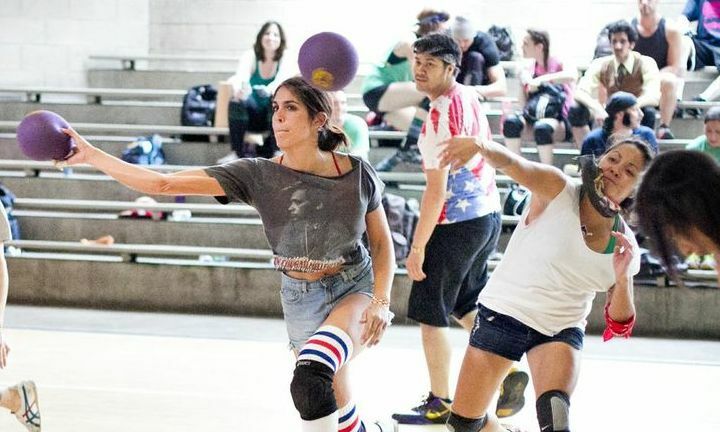 Playing this sport as a child may not have been every student’s favorite gym activity, but it’s a totally different ball game in adult dodgeball leagues. Dodgeball leagues offer pickup games, as well as organized league play, and these players get in the zone before they hit the court. Just like professional athletes, dodgeballers tape up, put on their compression tights, and lace up their Nikes. And most teams have a theme – many of them as zany as possible. 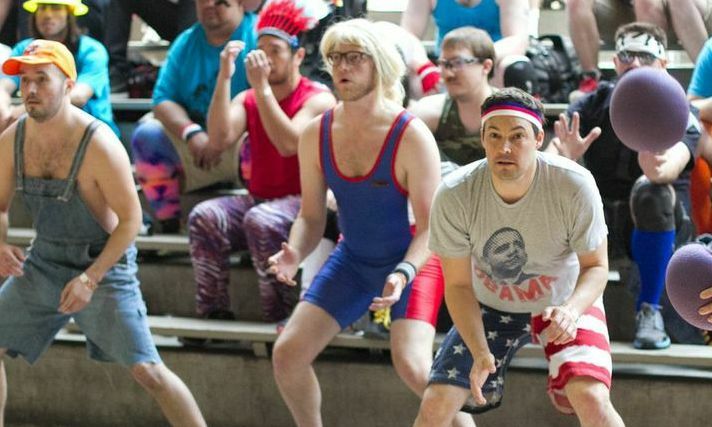 Dodgeballers can wear anything they want, and they push those nonexistent limits. From 1970s and ’80s themes to full costumes, the freedom of expression through competition fosters the unique socialization of the game. 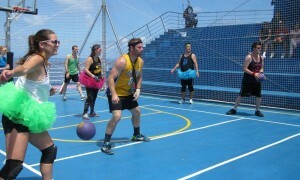 From a fitness standpoint, dodgeball is an extremely beneficial game. “It’s a good way to stay in shape, keep the joints loose, and keep the mental capacity going too,” Taylerson said. Before each game there’s a stretch and warm-up period. Taylerson points out that playing dodgeball can be similar to playing baseball in the necessity for a warm-up. A player has to prepare or he could easily throw out an elbow or shoulder. Because of the high aerobic nature of the game, strained or even pulled muscles can be a problem if the body is not properly warmed up. Dodgeball can certainly be played as a means of improving fitness, and factoring in the social aspect, it attracts people from all walks of life. And the growing popularity is giving beer league softball a run for its money. For more information about dodgeball leagues, visit Dodgeball4ever’s website.